Police Officer Thomas Madden was shot and killed while attempting to question two joy riders and suspected auto thieves at 2 a.m. Officer Madden jumped onto the running board of the suspects' vehicle and told them to stop. 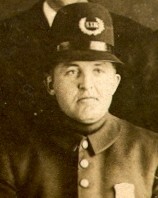 One of the men then shot him in the stomach. Although wounded, Officer Madden continued holding onto the car until it hit a curb at the intersection of Woodward Avenue and Bethune Avenue. 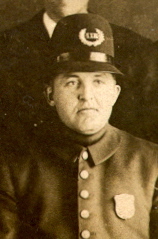 Officer Madden was assigned the Bethune Avenue Station. He was survived by his wife. On today, the 104th anniversary of your death I would just like to say thank you for your service and sacrifice for the citizens of Detroit. And to your Family and loved ones, I wish to extend my deepest sympathy.